The Zee Rishtey Awards 2018 ceremony was a starry event attended by some of the biggest names in the world of Indian TV who are now a part of the Zee TV family. The event was held at the Reliance Studio in Film City, Goregaon. It was a celebration of the channel's shows and the characters that have etched a beautiful mark on people's hearts. The awards ceremony celebrated the best Rishtas of Zee TV. Suhasi Dhami looks elegant at the event. She plays Vedika Mathur in Zee TV's 'Aap Ke Aa Jane Se'. Sriti Jha aka Pragya of Zee TV's Kumkum Bhagya looks radiant in white. Shraddha Arya aka Preeta of Kundali Bhagya at Zee Rishtey Awards 2018 ceremony. Shraddha Arya aka Preeta of Zee TV's Kundali Bhagya looks gorgeous at Zee Rishtey Awards 2018 ceremony. 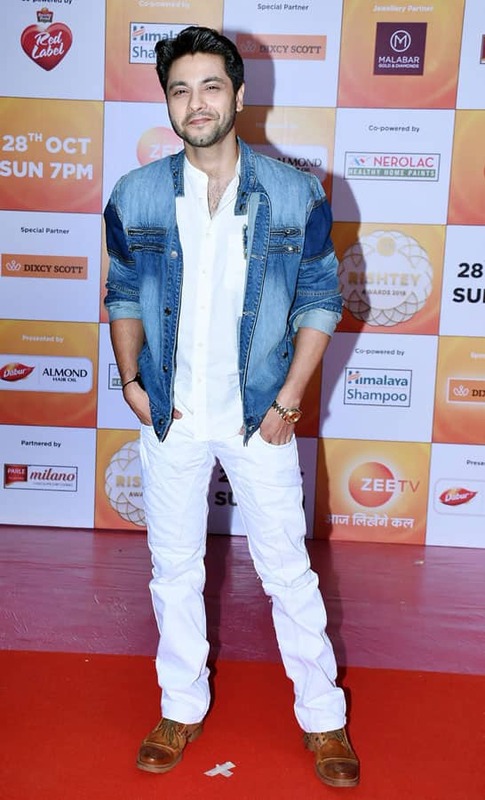 Mishal Raheja at Zee Rishtey Awards 2018 ceremony. Mishal Raheja aka King Singh of Kumkum Bhagya looks dapper at Zee Rishtey Awards 2018 ceremony. 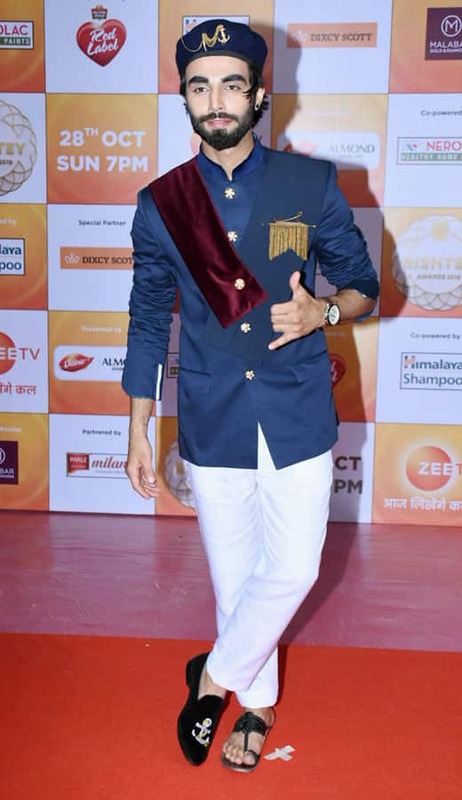 Karan Jotwani at Zee Rishtey Awards 2018 ceremony. Karan Jotwani plays Sahil Agarwal in Zee TV's 'Aap Ke Aa Jane Se'. Dheeraj Dhoopar with wife Vinny at Zee Rishtey Awards 2018 ceremony. Dheeraj Dhoopar aka Karan Luthra of Zee TV's Kundali Bhagya with his real-life wife Vinny Arora. Deepshikha at Zee Rishtey Awards 2018 ceremony. Deepshikha looks ravishing at Zee Rishtey Awards 2018 ceremony. Angoori Bhabhi and Vibhuti Narayan Mishra at Zee Rishtey Awards 2018 ceremony. Shubhangi Atre aka Angoori Bhabhi and Aasif Sheikh aka Vibhuti Narayan Mishra of And TV's 'Bhabi Ji Ghar Par Hai'. Amruta Khanvilkar at Zee Rishtey Awards 2018 ceremony.